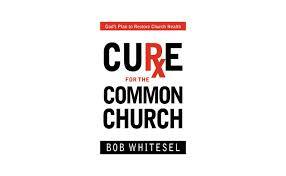 Dr. Bob Whitesel’s book is available at BobWhitesel.com, as well as other book sites including Amazon. George was a likable man with high hopes for his pastorate at St. Mark’s Church. The church had been founded some sixty years earlier to reach the sprawling new neighborhoods of the area. In the years after World War II the church grew as young families with good jobs spread into the neat streets and shaded cul-de-sacs. Sometime after 1970 the church started to plateau in attendance. The neighborhood streets were now filled with nice and tidy homes, but even newer subdivisions began to sprout eight miles to the north. Because of its size of 400 members, St. Mark’s still enjoyed a favorable reputation in the denomination and few saw the plateau as troubling. George was a Korean American who had successfully grown a large church of the same denomination in Rosemead, California. The board of St. Mark’s Church had felt that George would help them reach out to their neighbors. And try George did. George spent many hours walking the nearby streets and cul-de-sacs asking residents about their needs. One pressing need was for after school programs for children of two wage-earning families. Another need was for Sunday School programs that would appeal to youth. It was this conversation with a wise pastor almost two decades ago that launched me on a quest to discover why the common church has trouble connecting with the communities around it. Over the years I discovered that well-meaning pastors like George were insufficiently equipped to connect a church with the burgeoning needs of non-churchgoers. The task is too large for a staff to manage. Rather, for a church to be uncommon today, it will be necessary for all congregants to go out into their neighborhoods and connect with the needs of non-churchgoing people. The story above still occurs. New churches are being planted that within a few years succumb to the same problems that St. Mark’s Church experienced. They have different names, but they still fall prey to the same marginalizing commonness. Yet, as I counsel these congregations I find that most genuinely want to reach out to those outside their fellowship. They intuitively (and biblically) know that Christ calls them to reach inward and outward. But, they are at a loss to stem the tide. They are in need of a cure for the commonness of ingrown ministry. Rx1for the common church = GROW O.U.T. The cure for the ingrown church is to keep a church focused both inward and outward. In fact, history indicates that churches that stay connected to outsiders often do a better job at inward ministry too. For example, an Anglican pastor named John Wesley was so ashamed and alarmed at the depravity of the people outside of his church, that he took his sermons outside the church walls and began ministries to better serve their spiritual and physical needs. [i] Balancing this emphasis upon people inside and outside the church required a rigorous structure his critics mockingly called: “Wesley’s Methods.” Soon his followers were know as “Methodists,” a term which endures to today and should remind us that we need a clear method if we are going to avoid focusing only on people inside the church. After 20+ years of consulting, I believe this method here lies in three organic remedies. These cures, if taken together, can foster a healthy balance between inward and outward focus. Rx 1 for the Common Church = Grow O.U.T. In this cure, as well as in all of the cures in this book, the remedies spell out the name of the cure. CURxE U: Understand the needs of those you are equipped to reach. 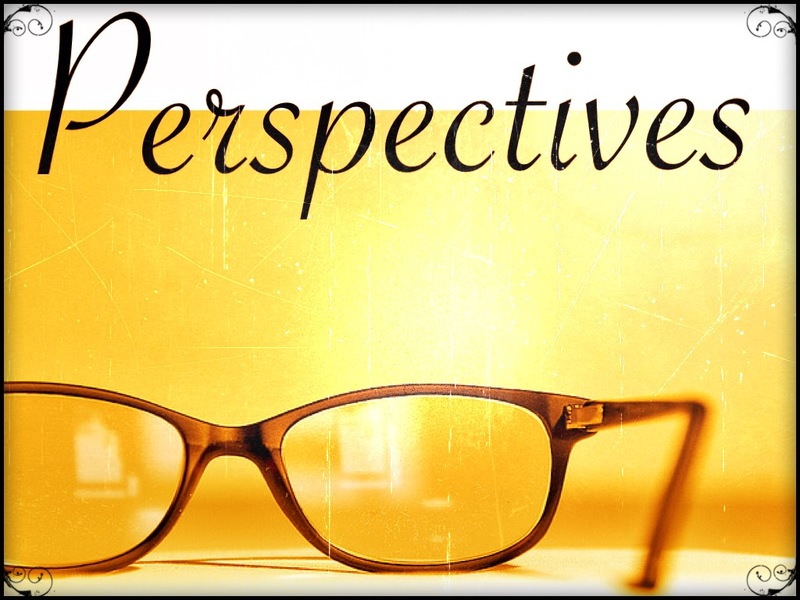 CURxE T: Tackle needs by refocusing, creating or ending ministry programs. [i] Wesley urged discipleship via small groups which he called “class meetings” to help non-churchgoers grasp the basics of Christianity. These “class meetings” were a type of discipleship group, which we shall discuss in greater detail in the next chapter. Has God equipped your church to minister to people in a geographic community? Geo- means “of an area.” This is a church whose ministry has been directed toward people in a geographic area (often those who live nearby). These churches meet the needs of people in one or more geographic communities. Has God equipped your church to minister to people like us? Demo- means “of a people.” This is a church whose ministry has been directed toward a people group (e.g. those who share common characteristics). Are You a Geographic Church? Some churches are primarily equipped by God to reach a geographic area such as a neighborhood, a borough, a small town, a rural area, a township, a neighborhood, a school district, a suburb, an urban district, etc. Geographic churches often have a long history of ministering in a specific area. And, if the culture of the geographic area changes, because the geographic church is called to that locale, the geographic church will stay put but change with that culture. This is not always easy, nor quick. In Appendix 2.A you can find the story of Kentwood Community Church, a Michigan congregation that has successfully changed ethnicity and grown while remaining in the same (changing) geographic area. Churches located in small towns and/or rural districts with very little outside traffic may have no other option than to become geographic churches meeting the needs of those people living nearby. Churches that are elsewhere off the beaten path. Churches located in wilderness areas, valleys, etc. with very little outside traffic. Churches located in back road areas. Churches located on river deltas, islands or peninsulas. Suburban churches may be geographic churches if they are in an area of a suburb not traveled by many people from outside of the area. Suburban churches can be geographic churches if their buildings are hidden in a housing development or subdivision. A old, established downtown church that cannot move to the suburbs because there are other denominational churches already there. A church residing in one of the inner city’s labyrinth of neighborhoods, may be limited by that neighborhood’s identity. Geographic churches will stay put and change as the cultures around it change. If the cultural makeup of a community changes, a geographic church will change to reflect those changes. Rather than moving out of an area if the culture changes (like a demographic church might do), the geographic church is a chameleon, staying put and changing its appearances to reflect its changing environment. Geographic churches can reach out to several cultures at the same time. A geographic church in an urban area might be comprised of a Mexican congregation, an Asian congregation and a young professionals congregation. There is power in multicultural geographic churches. Because a geographic church wants to mirror the changing mosaic of its locale, geographic churches often seek to create a partnership of multiple sub-congregations, reflecting the proportions of these cultures in the community. These churches are discovering the power of partnership, for while some community residents may be leaving the area, geographic churches are reaching out to emerging groups who are moving into the area and taking their place. Geographic churches may be the majority of churches today. From Figure 2.1 we can see that most churches today may be geographically limited, and thus are best able to reach out to their geographic communities. But now let’s look at another increasingly popular option, Demographic Churches. Today people can drive a great distance to attend a church they like. As a result more and more churches are drawing people from several sections of the population rather than just ministering to those in the geographic area nearby. Demographic groups are sections of the population that talk alike, behave alike and in which members can tell who is in their group and who is not. [vi] Thus, though the names and designations are always evolving, Figure 2.2 highlights some examples of Demographic Churches. Generation Y (b. 1984-2002) churches, etc. Demographic churches (like geographic churches) can reach out to several cultures at the same time. A demographic church could be comprised of a Latino/Latina congregation, an Asian congregation, an aging retiree congregation and an Emerging-Postmodern congregation. There is power in multicultural geographic churches. When a demographic church sees a people group on the wane (e.g. senior adults) they often intentionally reach out to an emerging demographic such as young professionals or young postmodern adults. Unlike the geographic church whose decision on who to reach is guided by who is coming into the area, the demographic church focuses on an advantageous demographic. Demogrpahic churches will change locations, following a people group as they leave to live in new locales. If the demographic group they are reaching moves out of the area, a demographic church moves along with the culture. For example, a Boomer church may move from an urban area to the suburbs as its congregants move to those suburbs. And, an Asian church I know moved to a nearby town when most of its Asian members moved to that town. [i] A depiction of God equipping a church to best reach a specific geographic area or demographic is an unpleasant image for those who wish all churches to be all things to all people. But, even in New Testament times we see congregations emerging with specific calls, such as Antioch’s emphasis upon missionary training, Corinth’s impact upon the Roman intelligentsia, and Jerusalem’s influence upon the structures and doctrine of the fledgling church. While churches should not limit themselves as to what God can do, it is helpful for churches (just like people, c.f. Rom. 12, 1 Cor. 12, Eph. 4) to ascertain how God has gifted them and to whom they may best be able to minister. [ii] “demographic,” Collins English Dictionary – Complete & Unabridged 10th Edition (New York: HarperCollins Publishers, 2011). [iii] This is not to say that all churches are called to a geographic area or to a demographic. Some churches are mixtures. Yet, observing how God has equipped and empowered your church is the first step toward ascertaining whose needs you are called to meet. [iv] When using the term constrained I am not saying that God cannot call and equip a church to overcome a restricted geographic area and reach an entire region. There are many examples of such congregations (see Bob Whitesel, Inside the Organic Church: Learning From 12 Emerging Congregations, [Nashville: Abingdon Press, 2008].) However in my consulting practice I have observed that God often calls churches to a geographic locale and does so in part by geographically delimiting their sphere of impact. Because many churches are not aware of a call to a locale, they often stumble ahead trying to minister to a demographic that has left the area, and subsequently refuse to adapt and minister to the changing demographic in their neighborhood. [v] See Appendix 2.B for an explanation of John Perkins’ “3 Rs.” These three lessons from this pioneer in civil rights and Christian community development can ensure that cultural churches do not become mono- demographic enclaves. It is the conclusion of my case study research and this book that a healthy church is not a mono- demographic church but a congregation partnering across cultural boundaries to produce a reconciliation between cultures that modern society so desperately needs. [vi] The phrase “talk alike, behave alike and can tell who is in their group and who is not,” is expanded by Paul Hiebert in more detail as a matrix of behaviors, ideas and products (Cultural Anthropology [Grand Rapids, Mich.: Baker, 1976). P. 25. [vii] These demographic examples are not meant to be exhaustive nor definitive, because demographic designations are still evolving (for more on this see Bob Whitesel, Preparing for Change Reaction: How to Introduce Change in Your Church [Indianapolis: Wesleyan Publishing Company, 2007], pp. 50-62). [viii] For characteristics of generational churches see lists and charts in Bob Whitesel, Preparing for Change Reaction: How to Introduce Change in Your Church (Indianapolis: Wesleyan Publishing Company, 2007), pp. 52-65. [ix] Today, probably the most widespread church demographic are those who prefer “traditional worship” (and all of its various permutations), Hispanic Churches (and all of their wonderfully diverse Hispanic cultures), African American Churches (with their many vibrant variations) and youthful churches (orientated toward attendees under 35 years of age). [x] This generation has been labeled the “silent generation” to emphasize their stoic nature in the midst of the Great Depression and World War II by historians William Strauss and Neil Howe in their seminal book Generations: The History of American’s Future, 1954-2069 (New York: Quill, 1992). Tom Brokaw popularized them as the “Greatest Generation” in his book, The Greatest Generation (New York: Random House, 2004). They have also been called the “Builder Generation” for their propensity to honor God with their handicraft as exemplified in their church buildings (Gary McIntosh, One Church, Four Generations: Understanding and Reaching All Ages in Your Church [Grand Rapids, Mich.: Baker Books, 2002] and Bob Whitesel and Kent R. Hunter, A House Divided: Bridging the Generation Gaps in Your Church [Nashville: Abingdon Press, 2000). [xi] For more on socio-economic levels see David Jaffee, Levels of Socio-economic Development Theory (New York: Praeger 1998), and Organization Theory (New York: McGraw-Hill, 2001). [xii] Defining ethnicity can be challenging, with terminology and designations constantly evolving. I have employed here (only as an example) ethnic designations used by the US Census Bureau. [xiii] Historically, many of the churches in America began as churches reaching out to specific demographics. For example Norwegian Lutheran Churches were started in the small towns of Wisconsin and Minnesota to offer culturally relevant worship for non-churchgoing immigrants in their native language and music. But these immigrant churches also displayed many of the characteristics of geographic area churches because in those days most demographic groups were located in specific geographic communities. This fact is sometimes hard for congregants with long histories in a church to understand, for they may want to retain their cultural and geographic focus long after their culture has moved to another part of town. [xiv] For examples of affinity churches see Bob Whitesel, Preparing for Change Reaction: How to Introduce Change in Your Church [Indianapolis: Wesleyan Publishing Company, 2007], pp. 56-58 and Bob Whitesel, Inside the Organic Church: Learning from 1 Emerging Congregations (Nashville: Abingdon Press, 2006).